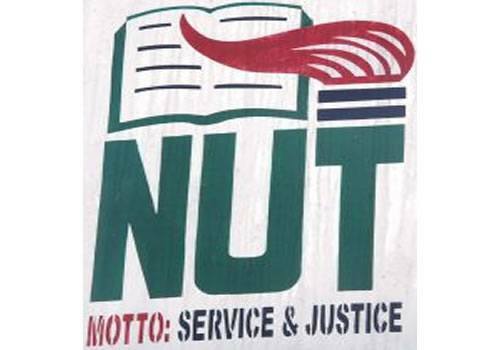 The Nigerian Union of Teachers, NUT, has reaffirmed its decision to proceed on an indefinite strike from Saturday, June 1, in 18 states that are yet to implement the N18,000 minimum wage as well as the 27.5 per cent Teachers Enhanced Allowance, TEA. The states include Benue, Cross River, Abia, Ebonyi, Enugu, Ekiti, Osun, Ogun, Oyo and Edo. Others are Nasarawa, Zamfara, Plateau, Taraba, Borno, Kogi, Niger and Sokoto states. Already, teachers in the affected states have been directed by the NUT headquarters in Abuja to indicate their readiness to proceed on the strike by signing their names and signatures in special registers provided at their local government headquarters in the affected states. NUT sources said the response had been overwhelming as almost all the teachers involved had indicated their readiness to embark on the strike. The affected teachers were given up till today to indicate their interest in the strike. In Abuja, the NUT National President, Michael Olukoya told newsmen, yesterday, that the union had resolved that the strike would proceed if nothing was done at the expiration of its deadline. Olukoya said that the decision to embark on an indefinite strike was taken on April 17, at the union’s National Executive Council, NEC, meeting held in Asaba, Delta State. According to Olukoya, the Senate Committee on Education had on May 23, invited the union officials and the governors whose states were yet to implement the allowance to a meeting over the threat by the union. He, however, said that the meeting with the Senate Committee was stalled, pointing out that the committee had appealed to the Minister of State for Education, Chief Nyesom Wike, to plead with the affected state governors to comply. “Some of the state governors are yet to implement the N18,000 minimum wage, which was approved by the Federal Government. “For us in the NUT, the strike is the only remaining option left for us now. We have been very patient since 2008,” he said.